Good rains have resulted in an increase in food production in Syria, but it is much lower than its pre-civil war levels. The wheat crop this year is likely to be better than the 2014 harvest, when the country was facing drought, but will not significantly improve the overall household food security scenario, say the Food and Agriculture Organization (FAO) and the World Food Programme (WFP). 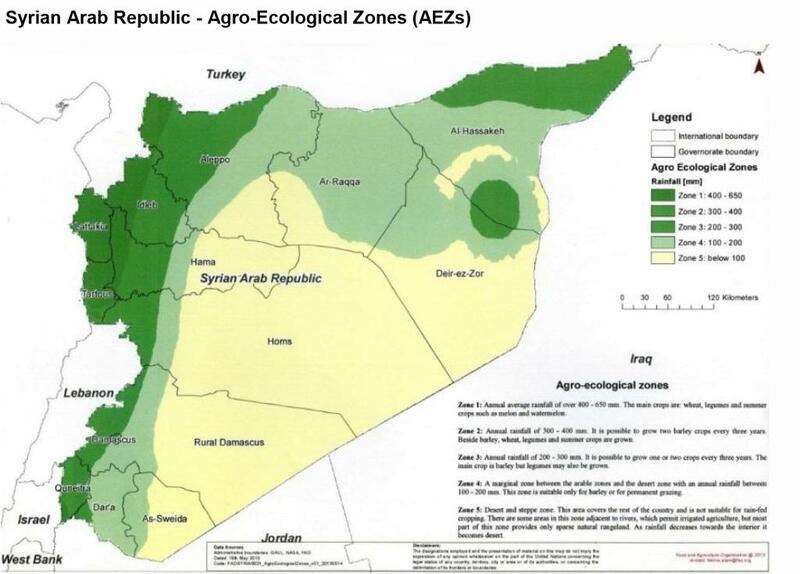 A special report on crop and food security in Syria was released by the two UN agencies on July 23. “Although 40 per cent lower than the pre-conflict levels, wheat production in 2015, estimated at 2.445 million tonnes, is significantly better than the very poor harvest of 2014 and slightly better than that of 2013. This is mainly due to seasonal rainfall in 2014/15 that was the best in many years in terms of both quantity and distribution and, to some extent, helped mitigate the devastating impact of the conflict on the agricultural sector as a whole,” says the report. Syria is in its fifth year of civil war. Non-state armed militia control about half of the country’s land and there has been mass exodus of Syrian nationals to neighbouring countries. “By the end of May 2015 UNHCR reported 134,329 Syrian refugees in Egypt, 248,203 in Iraq, 628,160 in Jordan, 1.18 million in Lebanon and 1.76 million in Turkey, bringing the total to almost 4 million,” says the report. “In total, some 9.8 million people in Syria are estimated to be food insecure, with 6.8 million of these severely food insecure - a level of need that requires external food assistance. Since January this year alone, more than half a million people have been displaced,” says a news release published by FAO on July 23.